The Chevy 250 is a very robust motor, built for durability and economy. Luckily that durability transferred to most of the internal components. 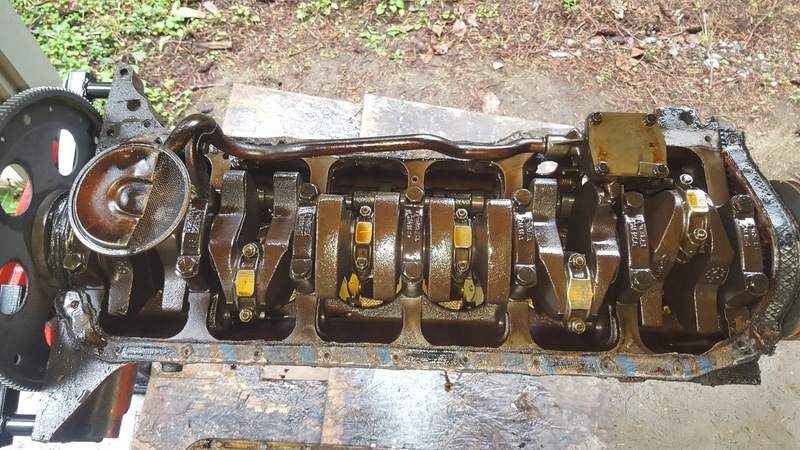 The crankshaft was cast, but manufactured with the same characteristics as the higher power V8 engines. 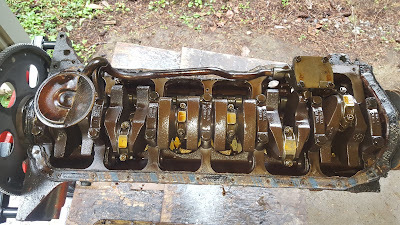 The cast crankshaft and forged connecting rods have been known to handle 500-600HP without issue. Obviously their are probably some people who have managed to break one or the other at 450HP but their are also some others who have made it to 700HP+, so lets stick with averages. Turbo Camaro is expecting to initially dyno near 350HP and a similar amount of torque. These are by no means big numbers, but considering it's out of a 250ci motor, it's decent. While 350HP is a nice starting point, it's more than likely the power won't stop there while the carburetor and alcohol injection get tuned. 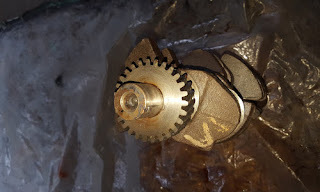 The stock crankshaft will be used but not until after polishing, balancing and the nose is drilled/tapped. 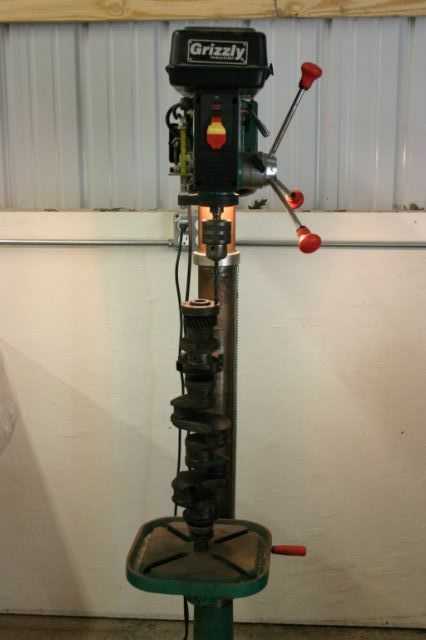 The machine shop will use a 25/64 drill bit and a 7/16 x 20 tap (or a similar sizes). 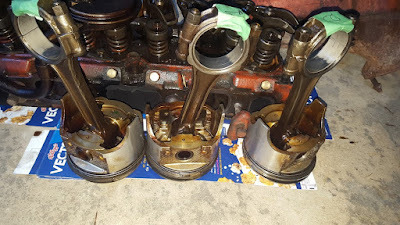 This process isn't required in the rebuild and should be done by a shop, unless you have the required tools or a really, really steady hand. The new threading will be used for the balancer puller/install tool and a retaining bolt after assembly. A new CompCams steel timing gear set was purchased but the crank gear wasn't needed as the stock gear was mint. The machine shop confirmed the stock forged rods were also mint and were needed to balance the the rotating assembly. The weak link with the stock rods are the bolts holding them to the crank. However, if requested, a machine shop can replace the stock bolts with higher quality bolts. Which is exactly what is being done for Turbo Camaro. In this case, ARP rod bolts will be used to make the rods near bulletproof (for this build anyway). Overall, these two parts are good without any modifications, but a few dollars spent on them can make them great and parts you'll probably never need to replace. The installation procedure was filmed and posted to Youtube as part of the short block assembly. See the video below.